NextReports can design two types of entities: reports and charts. 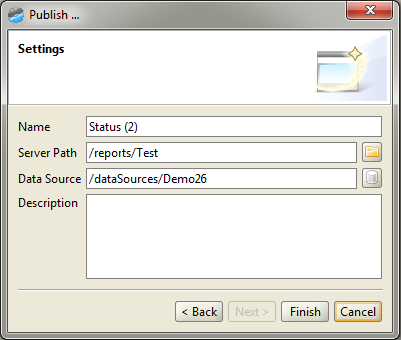 Reports can also be classified in default, alarm and table. 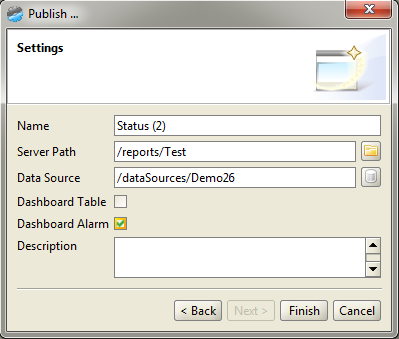 Alarm and table reports are special formats (defined by convention) which can be used inside NextReports Server dashboards. 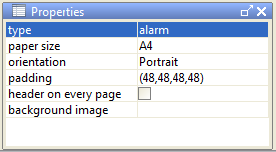 To publish a special kind of report to server, user has to check it's purpose: Dashboard Table or Dashboard Alarm. This approach is more scalable and new report types can be added later without impacting the way they are published to NextReports Server.